World Class IT, Server, Log and Network Monitoring Software for IT Infrastructure Monitoring. 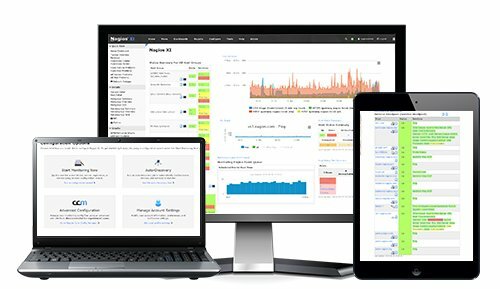 Nagios XI provides monitoring and alerting of applications, services, operating systems, network protocols, systems metrics, and network infrastructure. Hundreds of third-party addons provide for monitoring of virtually all in-house and external applications, services, and systems.